Whether it’s to kindergarten or college, sending your child out into the world is an anxiety-provoking experience. Our children are exposed to all sorts of dangers in the world—physical, emotional, and spiritual. But as parents we have hope and we take courage. Our hope for our children outweighs our fears and anxieties because our hope for them is grounded in the heavenly Father who holds them in His hand. Children are a gift from God; wise parents will give them back to Him. Over and over and over again we give our children to God. 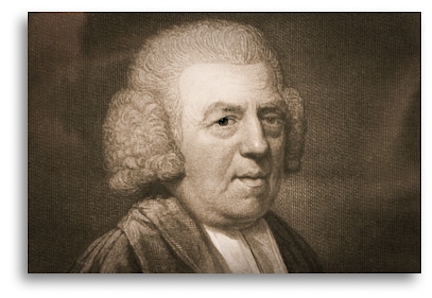 John Newton is well-known as a hymn writer, fewer are acquainted with him as a letter writer. Newton was a prolific letter writer—he wrote letters to church members, to fellow ministers, and to his wife. He also wrote letters to his adopted daughter, Betsy. The following is an excerpt from a letter he wrote to Betsy when she was 14-years old and away at school. If you need reason to hope as a parent, if you need an example of how to pray for your child, find it here. Sometimes, when I consider what a world you are growing up into, and what snares and dangers young people are exposed to, with little experience to help them—I have some painful feelings for you. Then my thoughts turned from the ship—to my dear Betsy. The ship seemed to be an emblem of your present state. You are now, as it were, in a safe harbor; but by and by you must launch out into the world, which may well be compared to a tempestuous sea. I could even now almost weep at the resemblance. But I take courage, as my hopes are greater than my fears. I know there is an infallible Pilot, who has the winds and the waves at His command. There is hardly a day passes, in which I do not entreat Him to take charge of you. Under His care—I know you will be safe. He can guide you, unhurt, amidst the storms, and rocks, and dangers—by which you might otherwise suffer—and bring you, at last, safely to the haven of His eternal rest. I hope you will seek Him while you are young—then you will be happy, and I shall rejoice. Nothing will satisfy me but this. Though I should live to see you settled to the greatest advantage in temporal matters—unless you love Him, and live in His fear and favor—you would be quite miserable. I think it would nearly break my heart; for, next to your dear mamma, there is nothing so dear to me in this world as you. But the Lord gave you to me—and many a time upon my knees, I have given you back to Him. Therefore I hope you must, and will, and shall be His. I am, with great tenderness, my dear child, your very affectionate father.